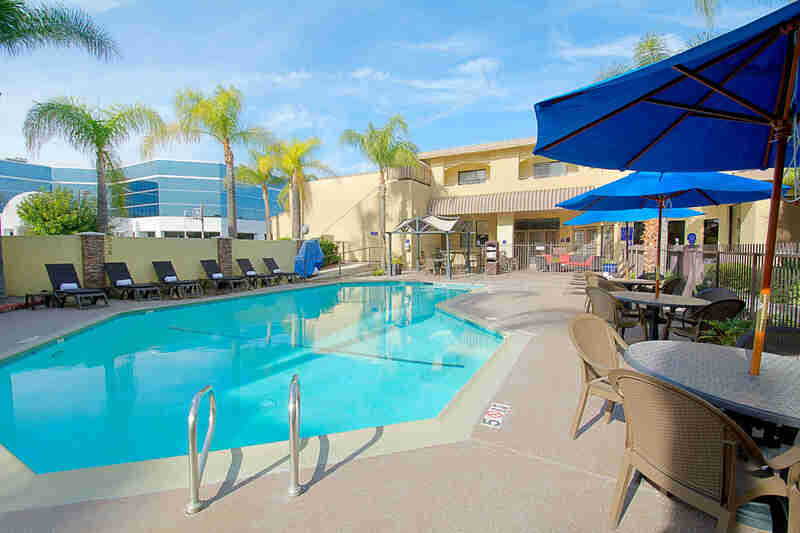 Features heated pool/spa, tennis, basketball, jogging. 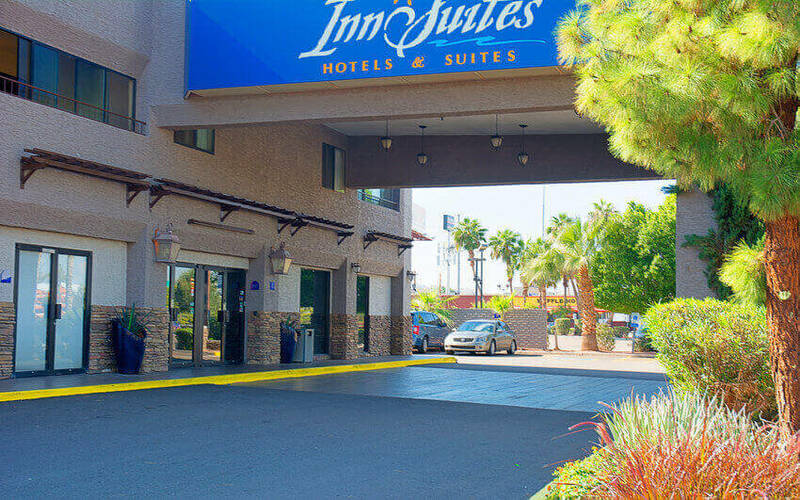 Located at I-10 and Baseline Road adjacent to Arizona Mills Mall with IMAX, and Phoenix South Mountain Resort Golf with free transportation to and from Phoenix Sky Harbor International Airport (PHX). 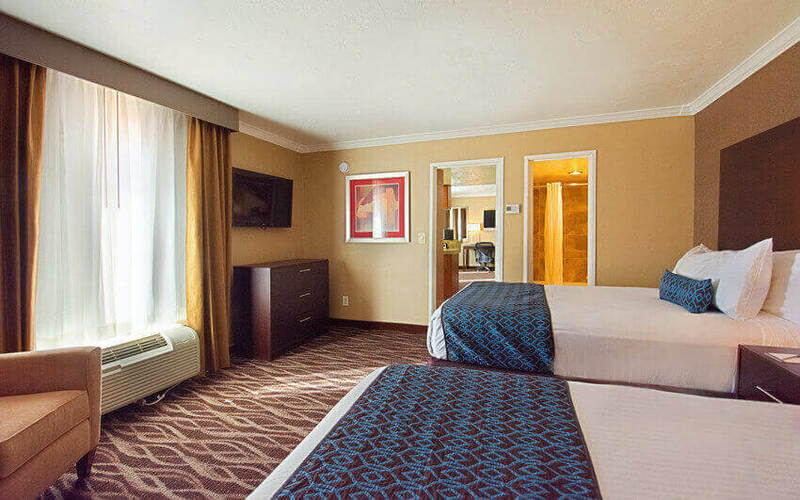 Easy access to Arizona State University (ASU), Tempe Town Lake, Sun Devil Stadium, downtown Phoenix Convention Center, Chase Field Arizona Diamondbacks baseball, US Airways Arena Suns basketball and East Valley Mesa, Gilbert, Chandler and Scottsdale. 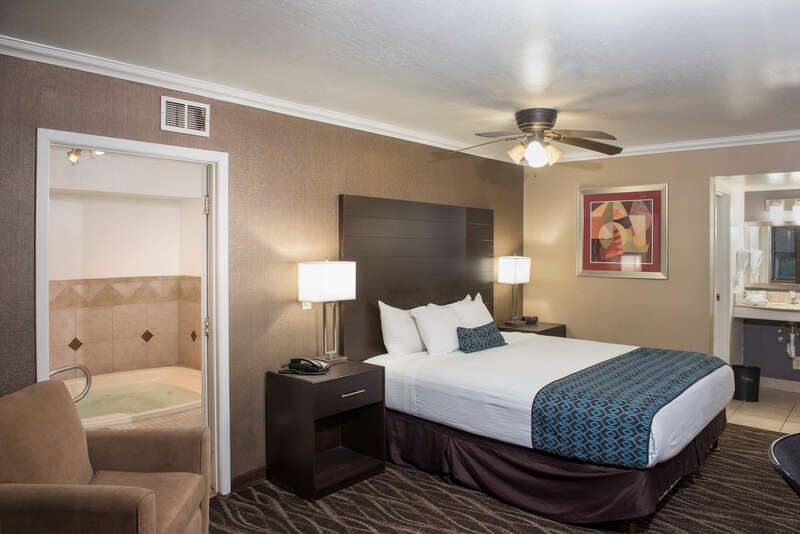 The Hotel Tempe Phoenix Airport strives to provide our guests with the highest quality of service, exceptional value and free hotel amenities you expect when you vacation in the Phoenix area. 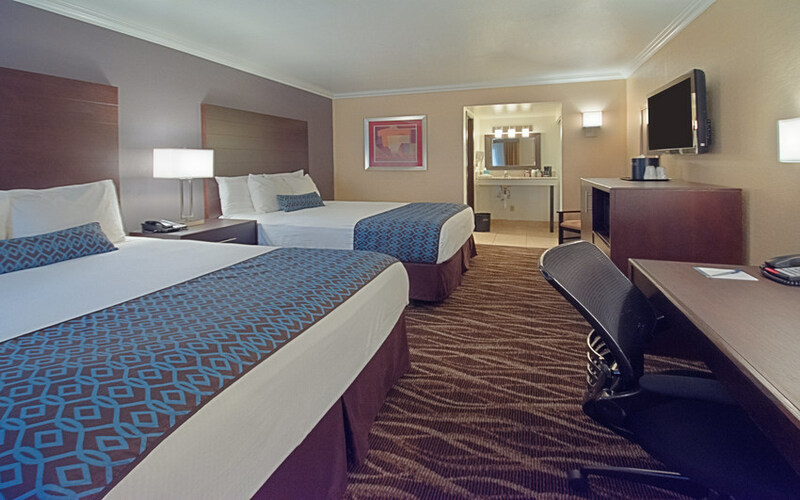 Our personable staff is available 24 hours a day to assist guests with any request that they may have during their hotel stay in Tempe. 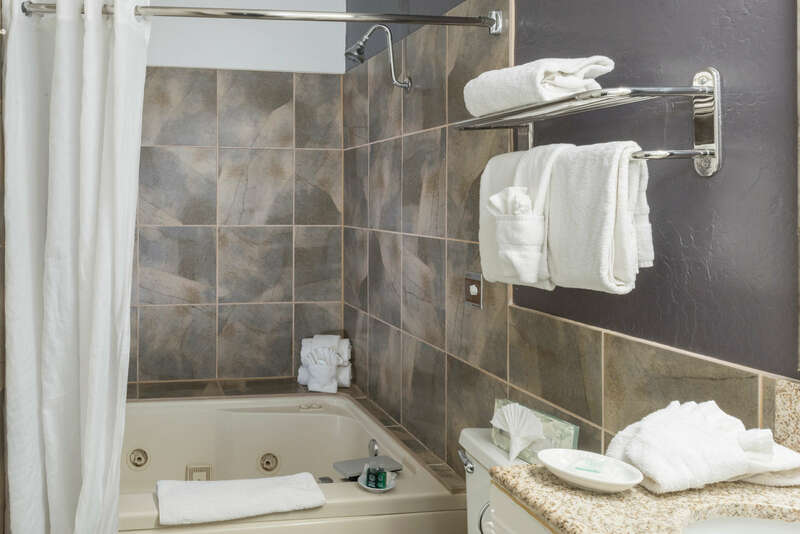 These and many other free and convenient hotel amenities make the Hotel Tempe/Phoenix Airport InnSuites Hotel & Suites “Your Boutique Suite Choice Value”! We appreciate you, and it shows. 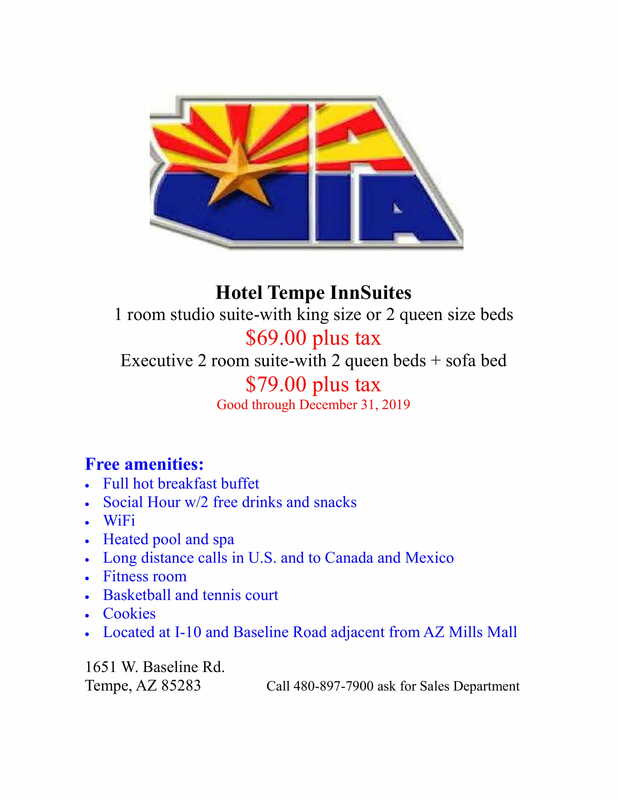 These and many other free and convenient suite amenities make the Hotel Tempe/Phoenix Airport InnSuites Hotel & Suites “Your Boutique Suite Choice Value”! We appreciate you, and it shows. 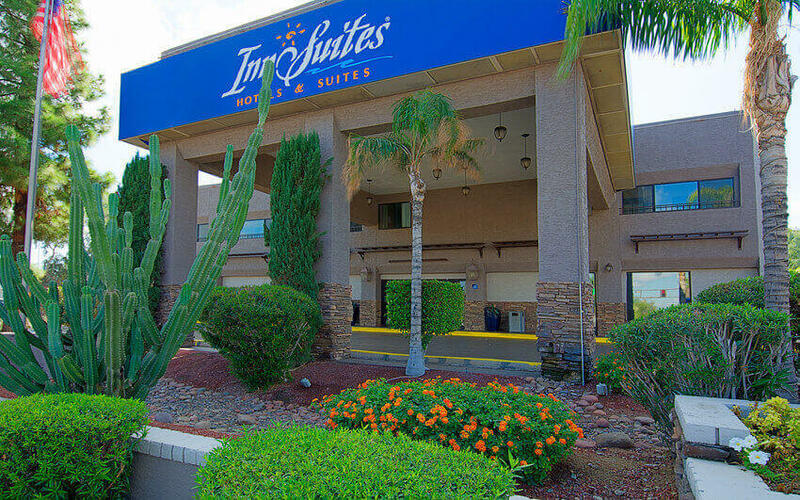 Hotel Tempe/Phoenix Airport InnSuites Hotel & Suites is here to serve you 24 hours a day. 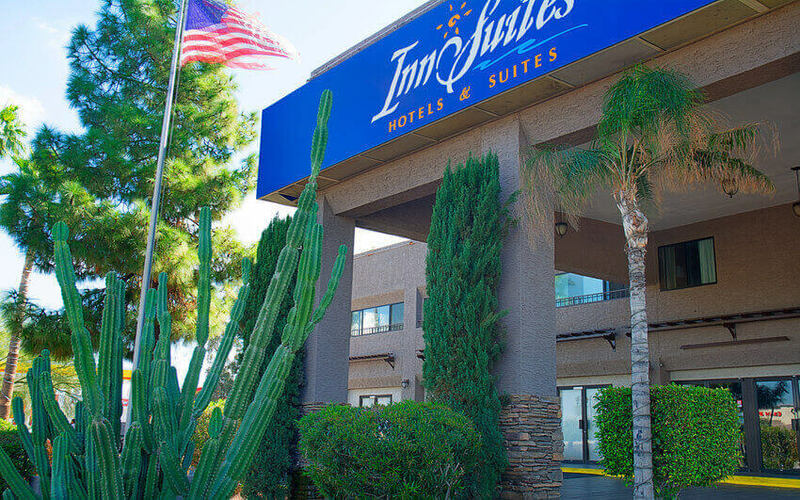 On behalf of Hotel Tempe/Phoenix Airport InnSuites Hotel & Suites, we would like to welcome you to our smoking friendly hotel. 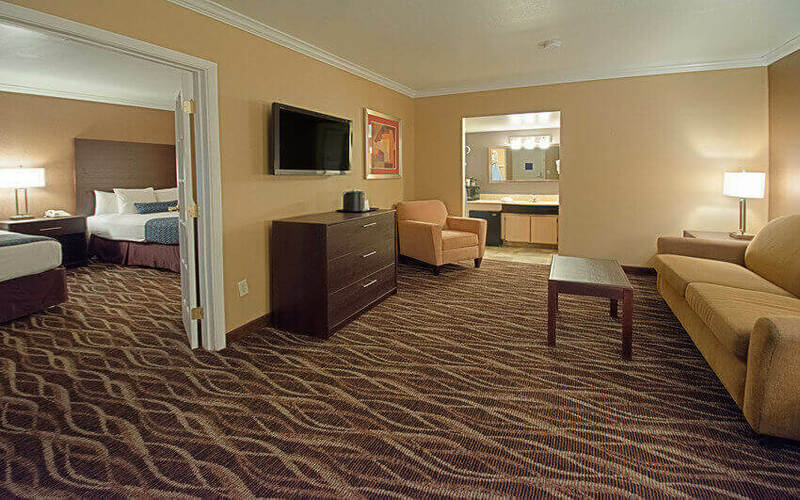 We strive to ensure all guests (smoking and non-smoking) experience a comfortable, memorable and safe stay with us. 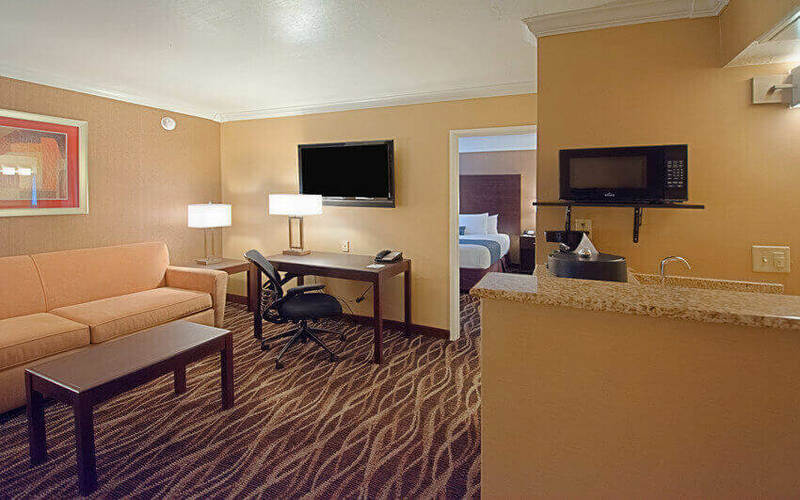 Please call ahead to ensure we have availability and smoking studios and suites available. 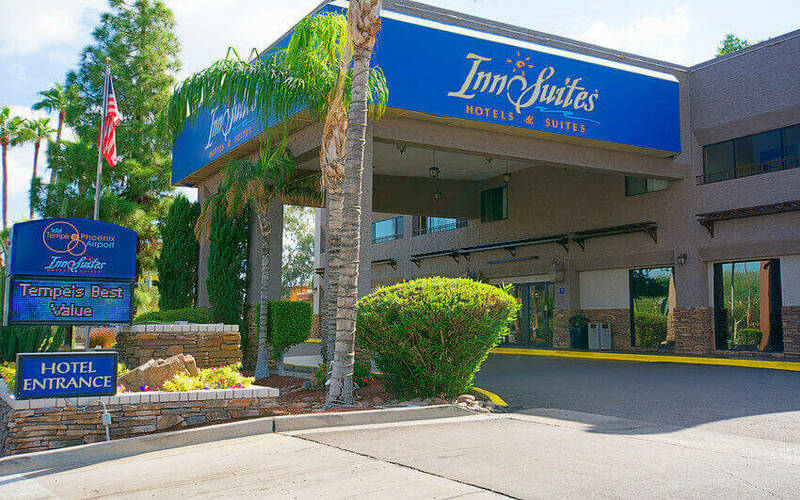 On behalf of Hotel Tempe/Phoenix Airport InnSuites Hotel & Suites, we would like to welcome you to our non-smoking friendly hotel. 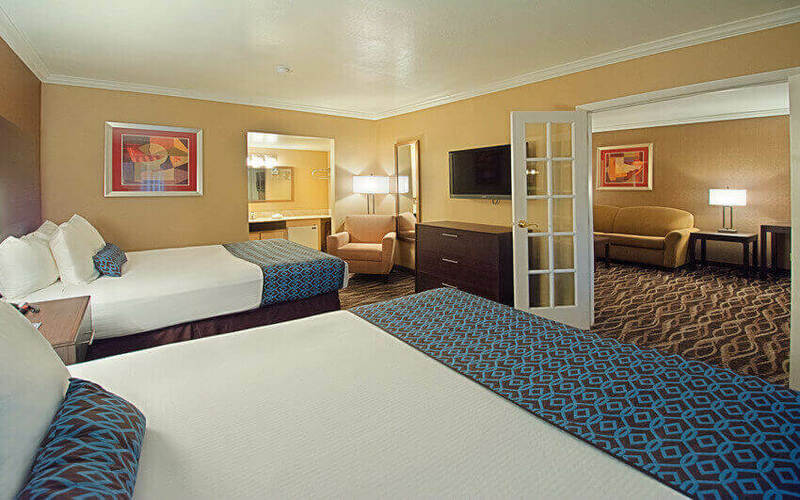 We strive to ensure all guests (non-smoking and smoking) experience a comfortable, memorable and safe stay with us. 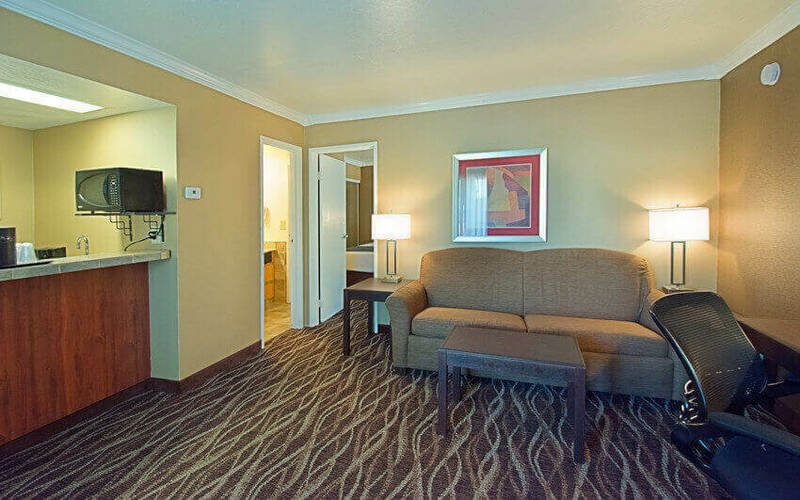 Hotel Tempe Phoenix Airport InnSuites is a pet friendly hotel that understands pets are an extension of your family. 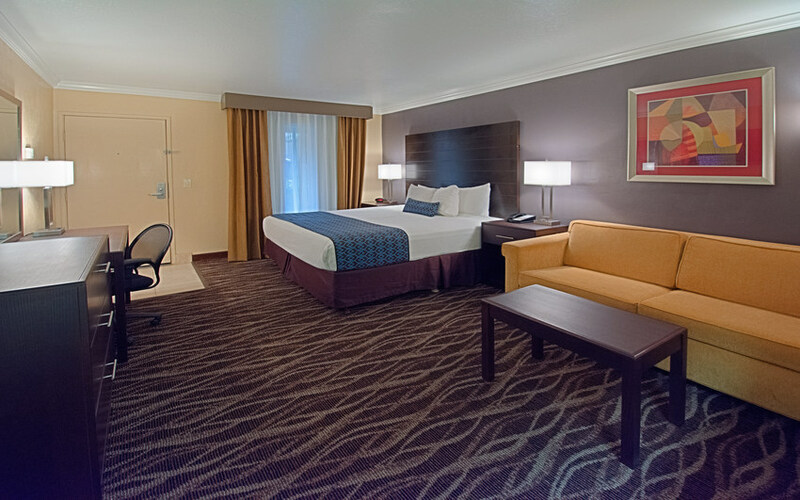 We gladly welcome guests traveling with their pets. 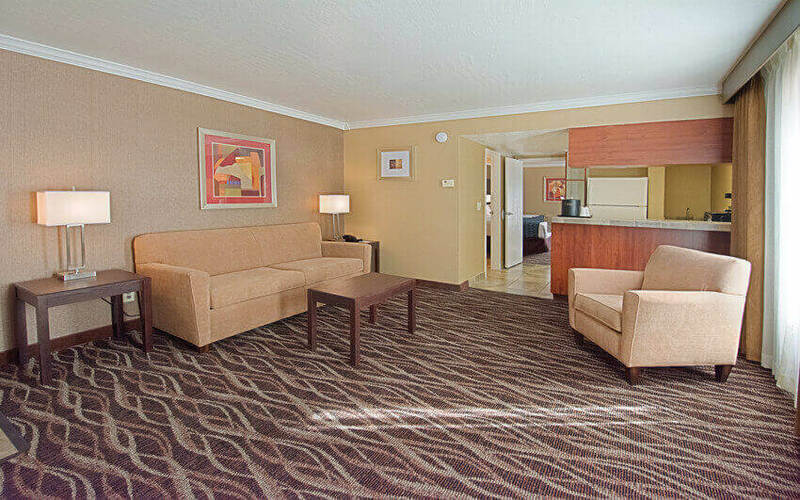 There is a $10.00 plus tax per night pet fee (not to exceed $50.00 plus tax per week). Damages caused by pets are the owner’s responsibility in addition to the pet free and will be charged accordingly. Please call ahead to ensure we have availability and pet friendly studios available. 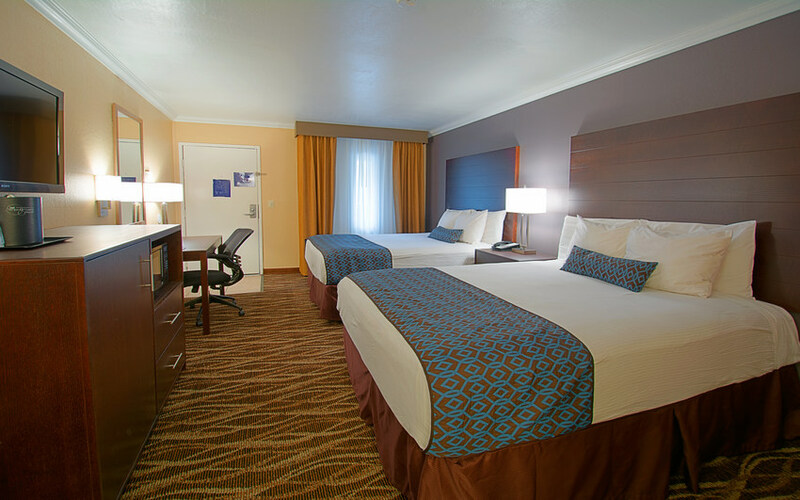 Bring your family to the Fun in the Sun! Kids under 17 years of age stay FREE! 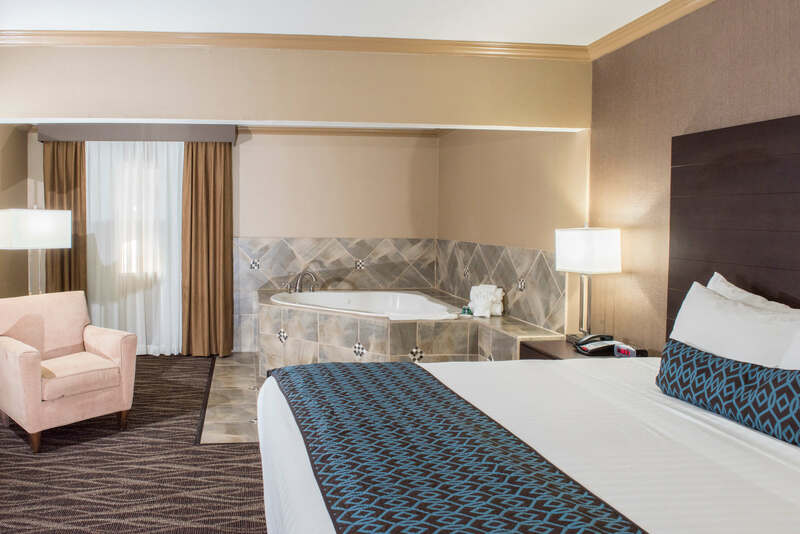 Kids will enjoy a special gift such as coloring books, crayons, and toys just for them, and parents will appreciate special savings on amazing suites. Only ½ mile from the hotel is Phoenix Mountain Preserve which provides excellent terrain for hiking and mountain biking. Within 10 minutes, enjoy Camelback Mountain for hiking and viewing the entire Valley. The city’s location lends itself to hot air ballooning, cycling, golfing, rock climbing, bouldering, geocaching, bird watching, fishing, horseback riding and much more. 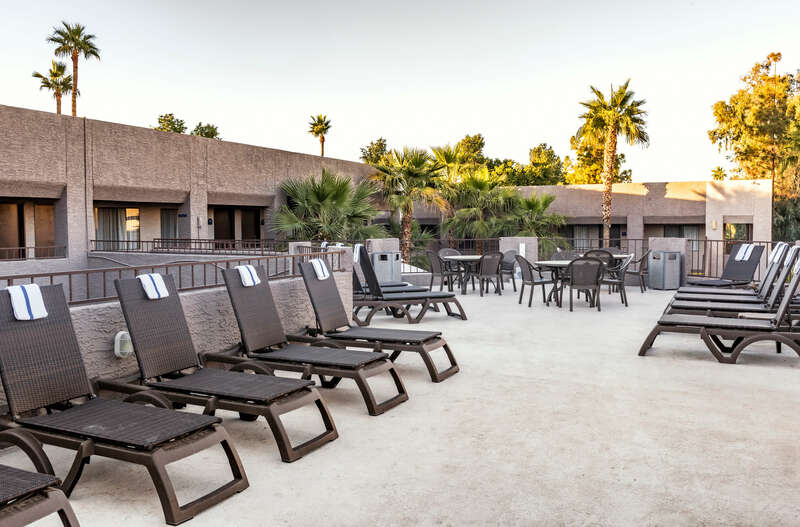 There are over 140 outdoor activities in Phoenix but the most popular outdoor activities are golfing, hiking, horseback riding, hot air balloons and scenic day trips in to the nearby desert or to one of the nearby mountain towns. A half-mile from the hotel and at over 16,000 acres, South Mountain Park/Preserve often is referred to as the largest municipal park in the country. It boasts 51 miles of primary trails for horseback riding, hiking and mountain biking for all ability levels skills. But you don’t have to fight crowds to enjoy the area – the 51 miles of trails allow you to enjoy the glory of the Sonoran Desert in relative solitude. Camelback Mountain, is the premier Phoenix landmark. Tilted layers of red rocks resemble a camel’s head and a reclining back. The “camel” can be seen on the left (west) end, lying on a much larger and higher mass (the “Camel’s” hump) of Summit elevation is 2704 ft (824 m) — the peak rises about 1600 ft (488 m) above the elevation of downtown Phoenix. The Kiwanis Recreation Center is owned and operated by the City of Tempe. 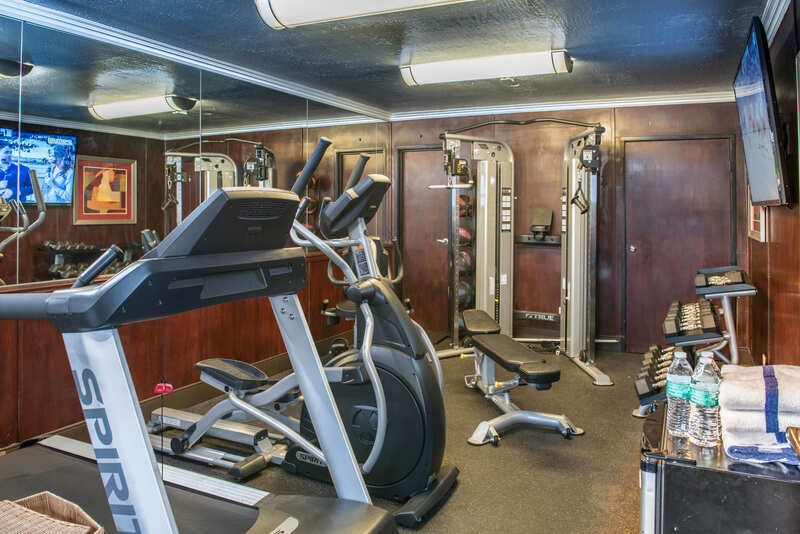 The facility includes an indoor wave pool with spiral slide, full service snack bar, full size multi-use gymnasium, fifteen lighted tennis courts, outdoor sand volleyball courts, classrooms, and outdoor picnic areas. 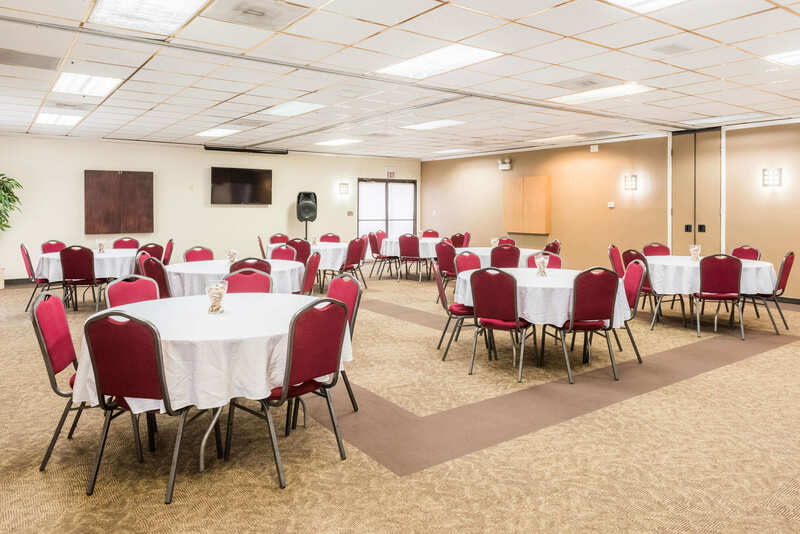 The center offers numerous activities for the community including instructional classes, sport camps and leagues, birthday parties and much more. Tempe Town Lake offers numerous recreational opportunities. The lake features 220-acres of water for boating and fishing as well as more than five miles of paths for bicycling, skating, jogging and walking. In the heart of Tempe Town Lake is the historic Tempe Beach Park. The park connects to the 5 miles of paths for bicycling, jogging or in-line skating that circle Town Lake. The Splash Playground at Tempe Beach Park lets children cool off and have fun at Tempe Town Lake. The one-acre playground teaches how a drop of rain falls from the sky and ends up either in the ocean or becomes part of the city water supply. Boat tours, charters and rentals. Boats available for large and small events. Pedal boats, ocean kayaks and charter boats. 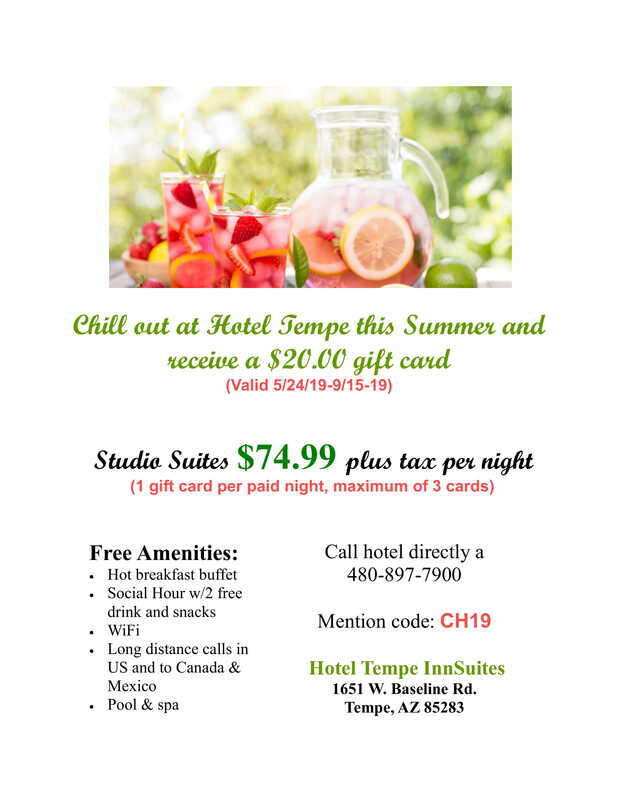 Ask about our special negotiated rates with Hotel Tempe/Phoenix Airport InnSuites! Cave Creek Trailrides is offering horse trailrides to the recreating public providing outstanding customer service. We offer 1 hour, 1.5 hour, 2 hour, 3 hour and Sunset rides of 1 hour or 1.5 hour in length. 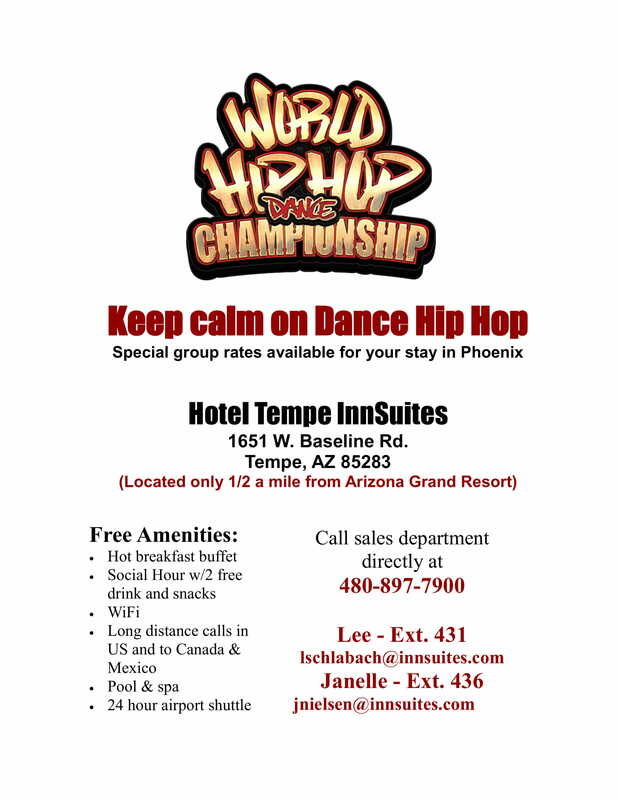 Ask about our special negotiated rates with Hotel Tempe/Phoenix Airport InnSuites! Aerogelic Ballooning offers adventures anywhere in Arizona. An aerial tour along with postflight champagne and continental brunch. A wonderful world of adventure awaits you at Arizona Desert Mountain Jeep Tours. 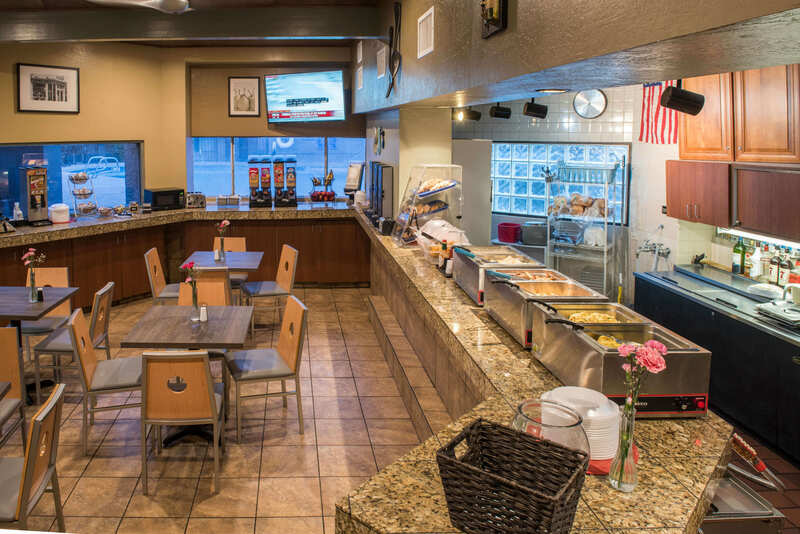 They cater to individuals, families, or groups. Being the oldest and one of the largest tour companies they can accommodate groups of 2 to 400 people! 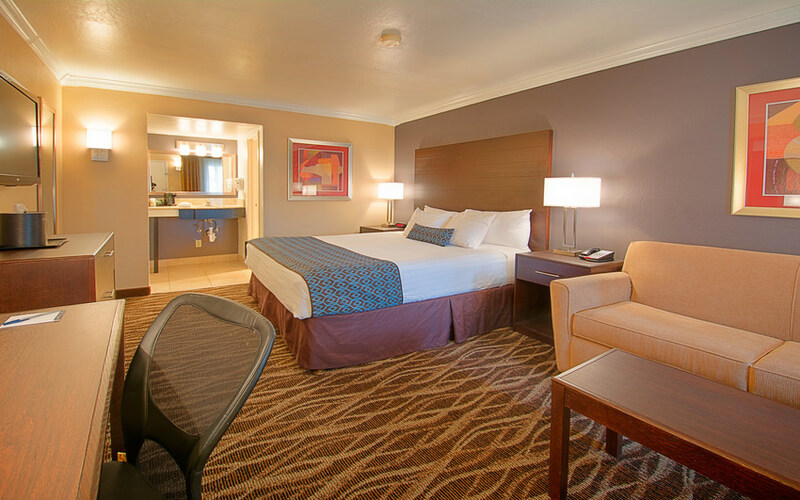 Open Road offers sightseeing and adventures including the Grand Canyon, Sedona, city tours and more. 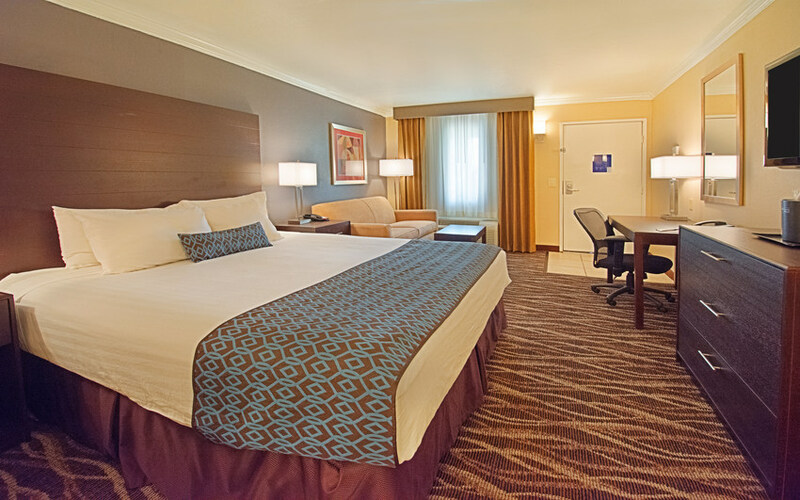 Let us design your vacation! 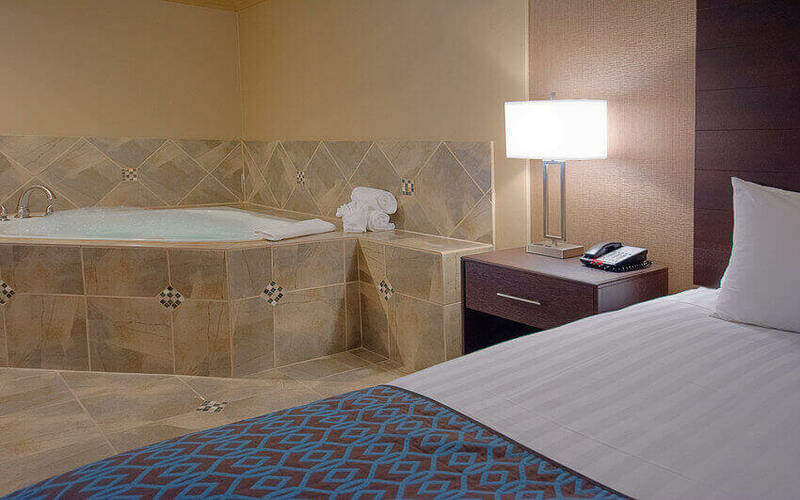 Across Arizona Tours is dedicated to quality and to your complete satisfaction. Our staff is the most professional in Arizona. Our tours are conducted by the finest guides in deluxe vehicles. Drive a Jeep Rubicon through Arizona’s rugged and beautiful backcountry. Rentals and guided tours available. In either case you drive the most capable Jeep 4×4 ever produced. Celebrating 21 years of Excellence! Scheduled one-day van tours. Grand Canyon & Navajo Indian Reservation, Sedona with Montezuma’s Castle and Jerome, Los Algodones (Mexico), Apache Trail with Dolly’s Steamboat, local city tour with Pueblo Grande Museum. 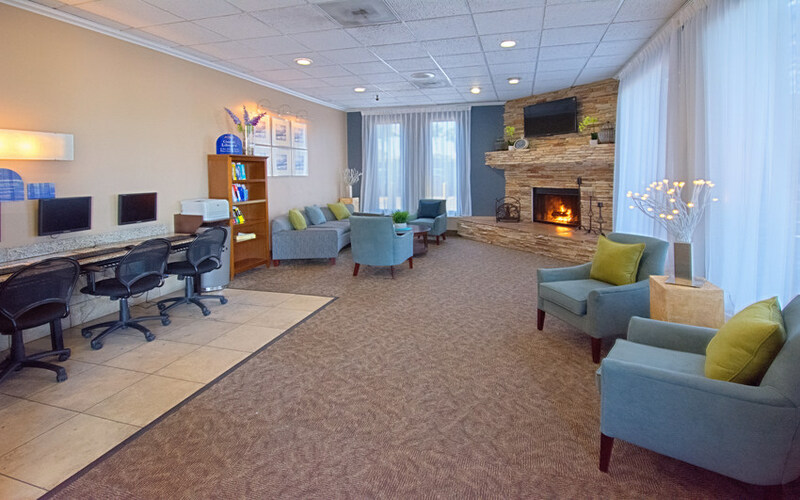 Our knowledgeable staff awaits your call. Sunset/sunrise tours, authentic Western cookouts, horseback rides. Custom group tours and catered events. Arizona’s Best Hummer Adventure! Explore the Sonoran Desert, Indian ruins and turquoise mine. Descend Hummer Hill! Exciting, beautiful and informative all rolled into one. 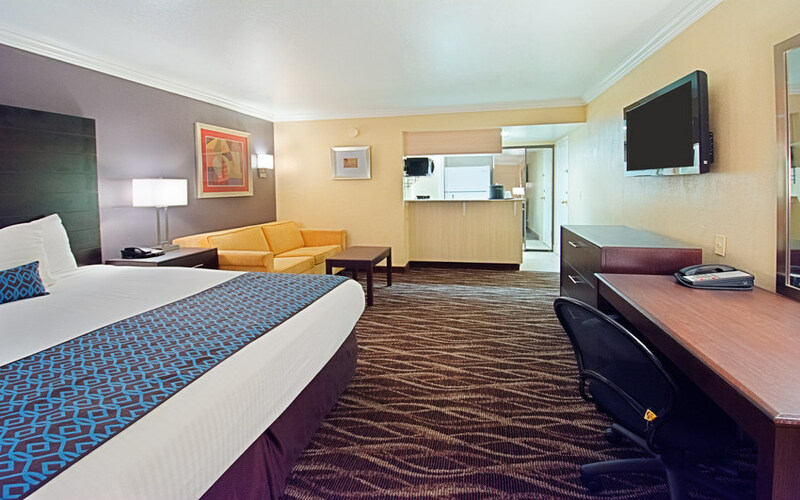 Our Arizona accommodations are the perfect start to your exploration of Phoenix – you’ll feel like you are staying in a Tempe resort! 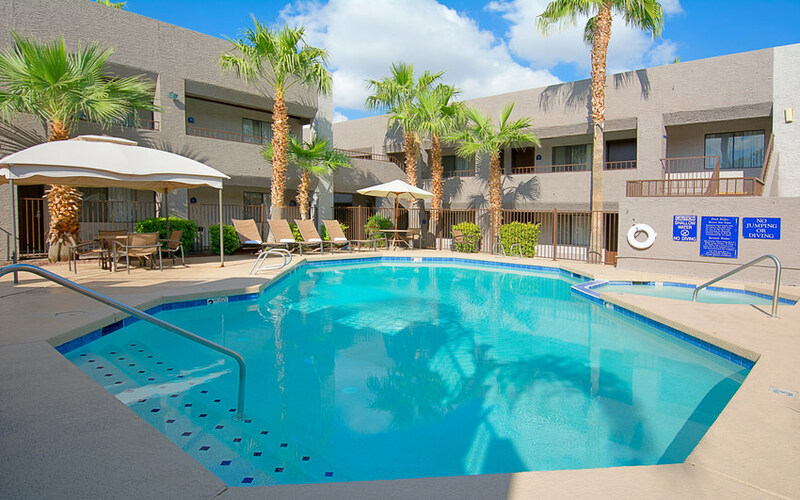 The Phoenix area’s elevation is 1,117 feet and is located in the heart of the Sonoran Desert. 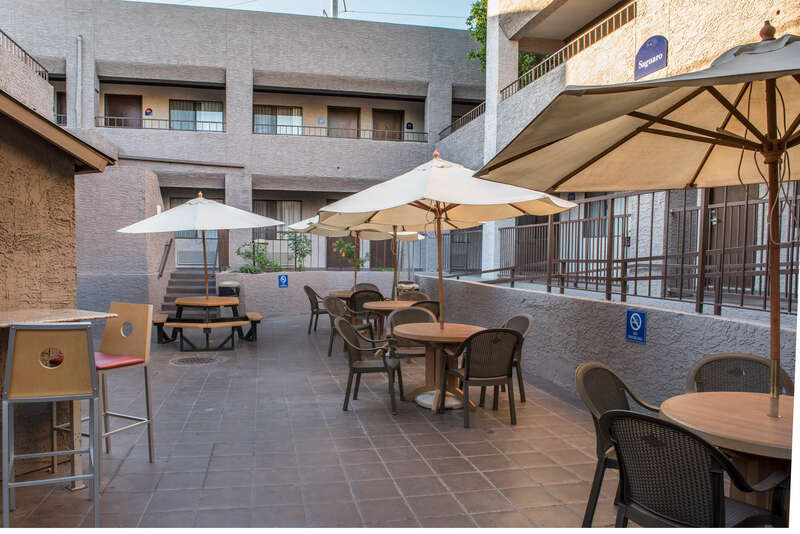 It is a sprawling metropolitan desert area that extends from trendy Scottsdale in the northeast, to Glendale and numerous expanding towns in the west. 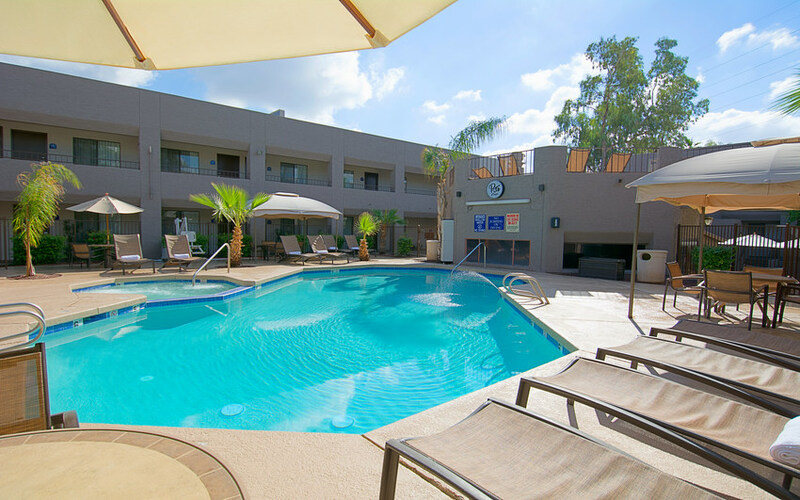 In the heart of the Greater Phoenix area is Tempe, high action university town-home to Arizona State University. To the east lie cities including Chandler, Gilbert, Queen Creek and Mesa. Desert mountains surround the area, creating “The Valley of the Sun.” There are six lakes within a 75-minute drive of Tempe/Phoenix. 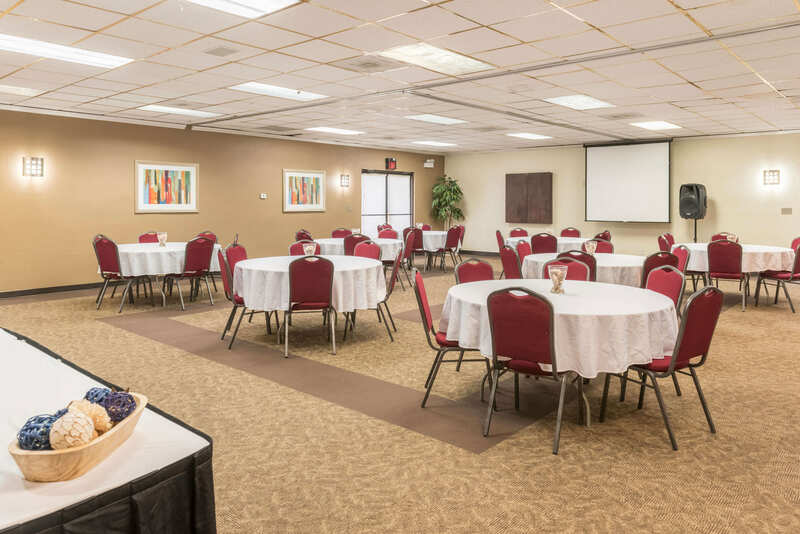 The Phoenix Convention Center offers more than 900,000 square feet of meeting and event space and more than two million in total square footage, making it one of the top 20 convention venues in the United States. 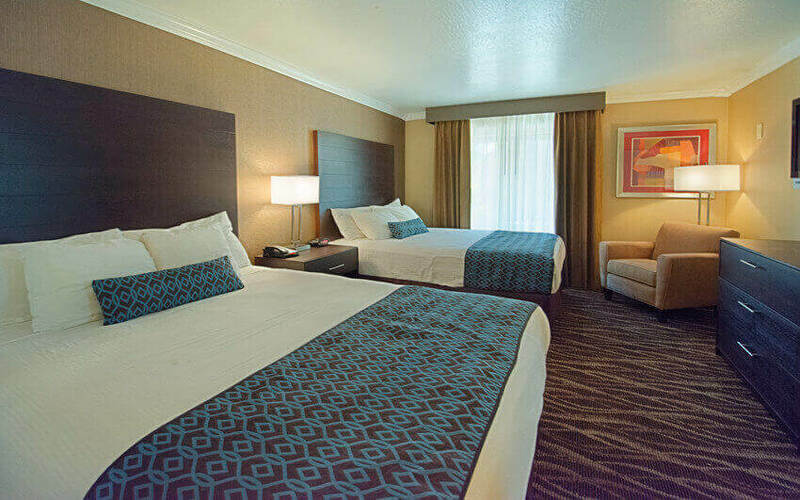 The 24-acre Phoenix Convention Center, in the heart of Copper Square, has been hosting national and regional conventions and trade shows as well as consumer events and theatrical productions since it opened in 1972. 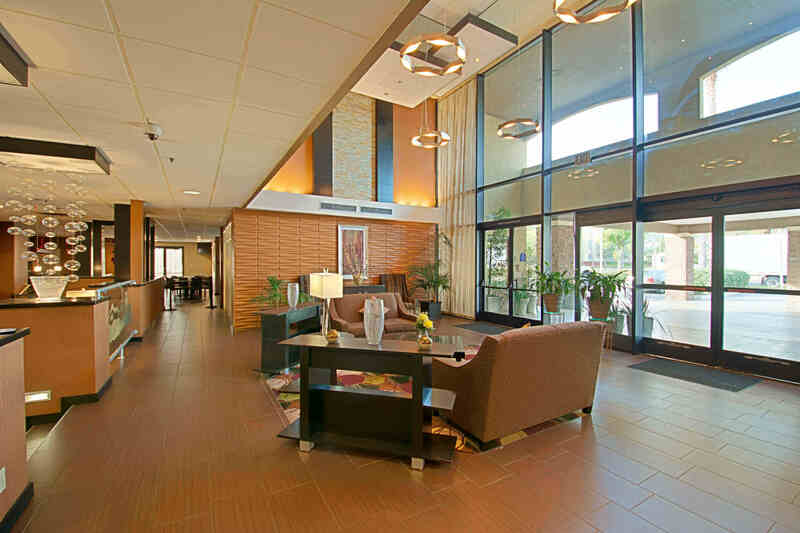 And, as Phoenix has undergone tremendous growth through the years by attracting high-technology businesses, transplants from other states, and an increase in tourism, so has the Phoenix Convention Center. 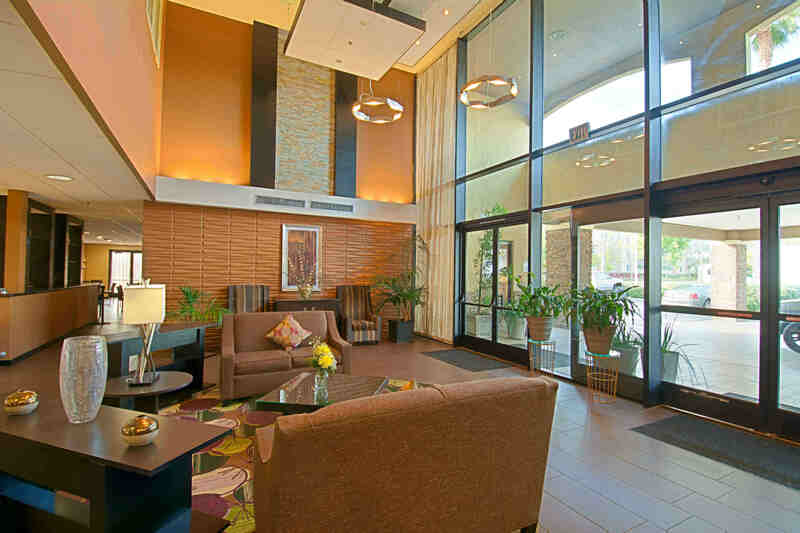 In the mid-90s the Phoenix Convention Center embarked on an ambitious $32 million renovation project to update and enhance its image and keep the facility competitive for convention and trade show business. The massive interior and exterior refurbishing included the addition of 60,000 square feet of shaded patio area including a 15,000 square foot tent and flanking galleries on elegant Symphony Hall Terrace. 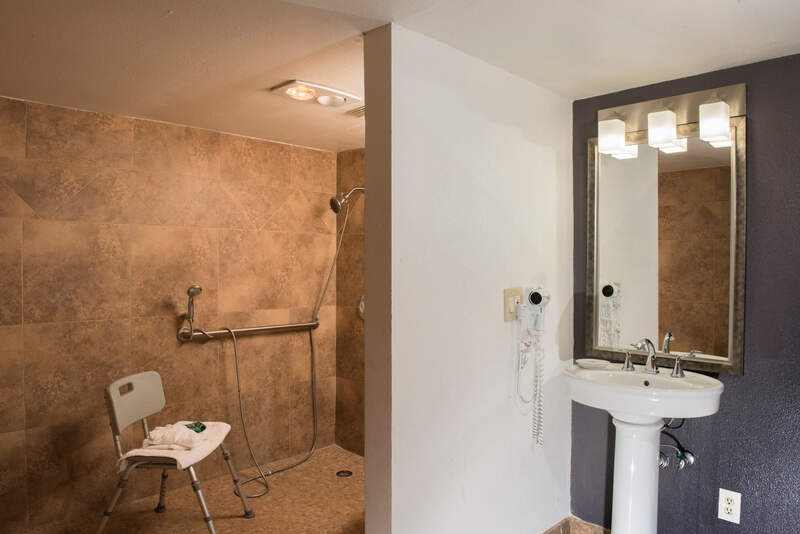 An additional $1.5 million interior renovation incorporated Southwest accent colors including burgundy, sage, and muted tones of slate and gold. 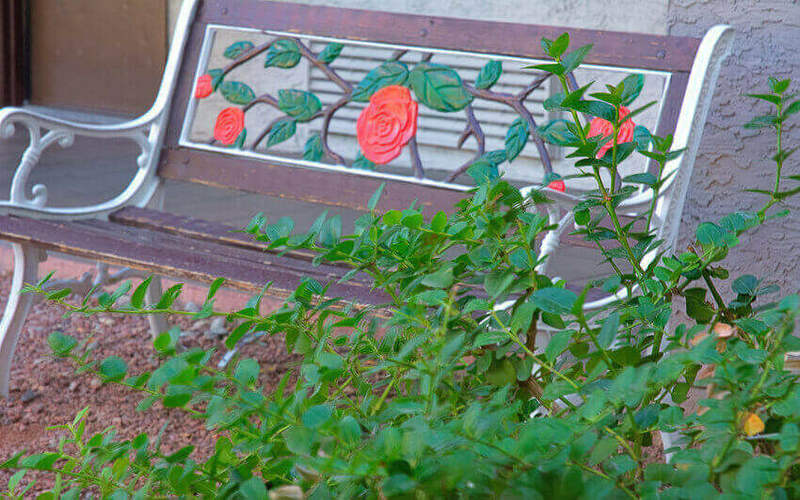 The unique carpet pattern represents the city’s vibrant growth, with a digitized pattern incorporating a distinctive aerial view of downtown Phoenix. 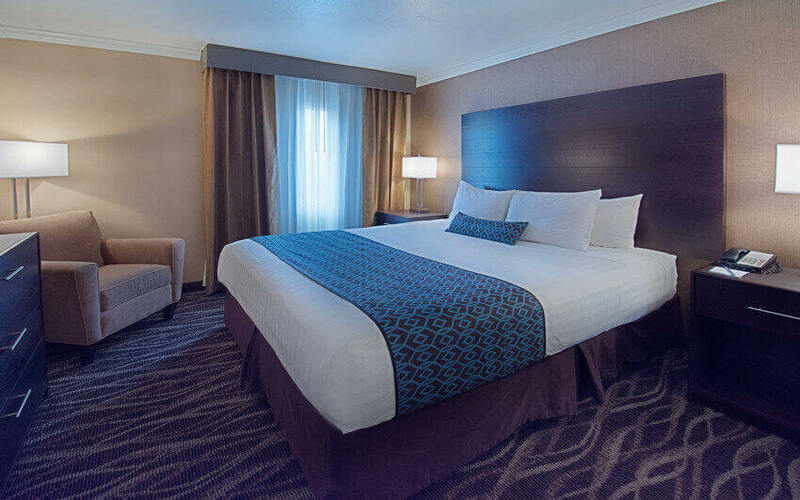 Enjoy the sun-filled days and starlit evenings of Phoenix. You ‘ll find everything from world-class dining to exhilarating adventure, trendy shopping, modern nightlife and enriching culture. Downtown Scottsdale. Time to be determined. Desert Botanical Garden, Phoenix. November 27, 2016 – December 31, 2016. 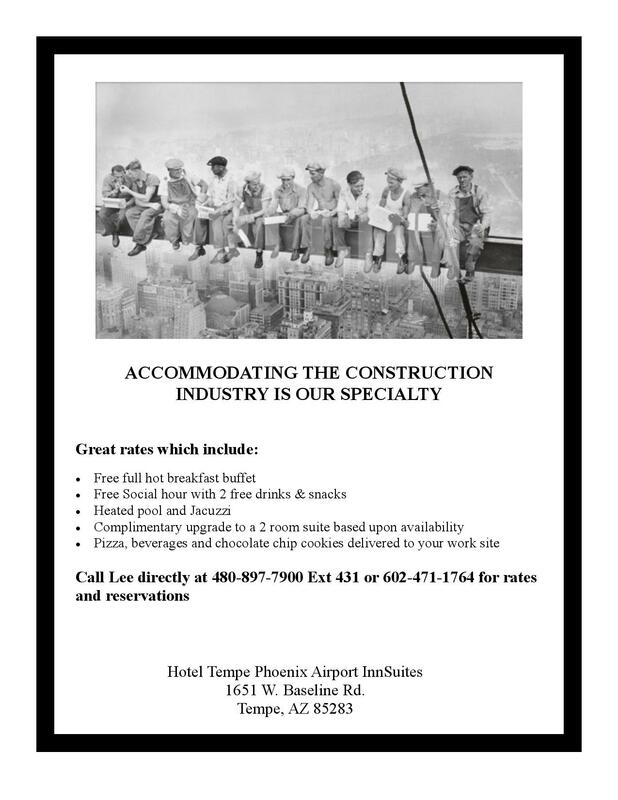 Flying into Phoenix Sky Harbor International Airport? We are only 10 minutes south of the Airport.